APN claims to be pro-Israel but all it seems to do is criticize the Israeli government. That's not "pro-Israel". Some people want to intimidate Americans - Jews and non-Jews, elected officials and the general population - into believing that only hard-line, hawkish positions are "pro-Israel," and that advocating other positions is "anti-Israel." We reject this approach. 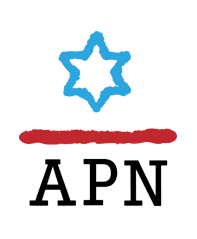 APN knows that pro-Israel credentials are not measured in hawkish positions on peace or in anti-Arab grandstanding, but rather in support for policies that promote Israel's security, stability, and viability as a Jewish, democratic state - which requires a two-state solution to the Israeli-Palestinian conflict. Consistent with this approach, APN advocates for American policies that advance peace and the two-state solution, and speaks out against policies that contradict these goals. The most pro-Israel Americans - the greatest friends of Israel - are those who understand that Israeli-Arab peace is essential to Israel's security, well-being, and viability as a Jewish state and a democracy. They are the ones who also recognize and embrace this fact: sustained, credible U.S. efforts to achieve Israeli-Arab peace are an essential element of U.S. support for Israel. Israel's first Prime Minister, David Ben-Gurion (quoted by Ehud Olmert on November 27, 2006) said, "I would consider it a great sin, not only towards our generation but towards future generations as well...if future generations had cause to blame the Government of Israel of missing an opportunity for peace." Pro-Israel means recognizing the tragic costs, now and for future generations, of failing to make peace.